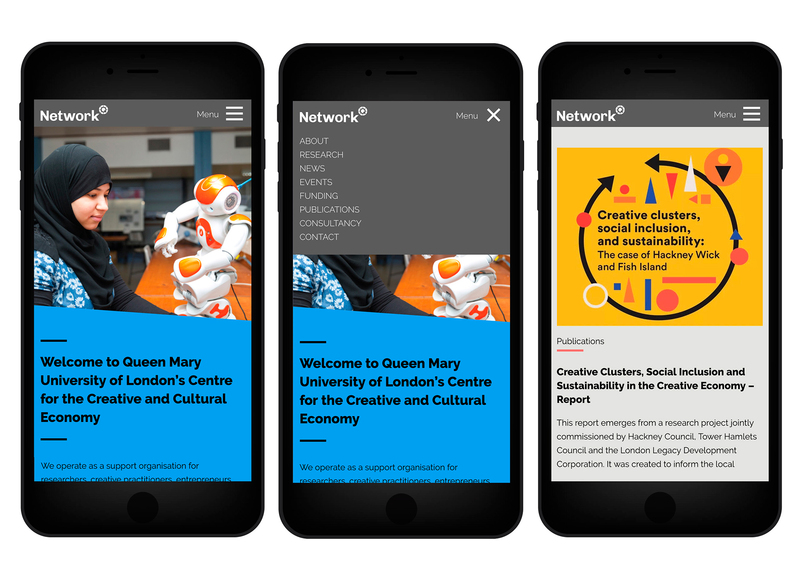 Since 2018 we have enjoyed working with the Network Centre – Queen Mary University of London’s research centre for the Creative and Cultural Economy on a number of design projects. 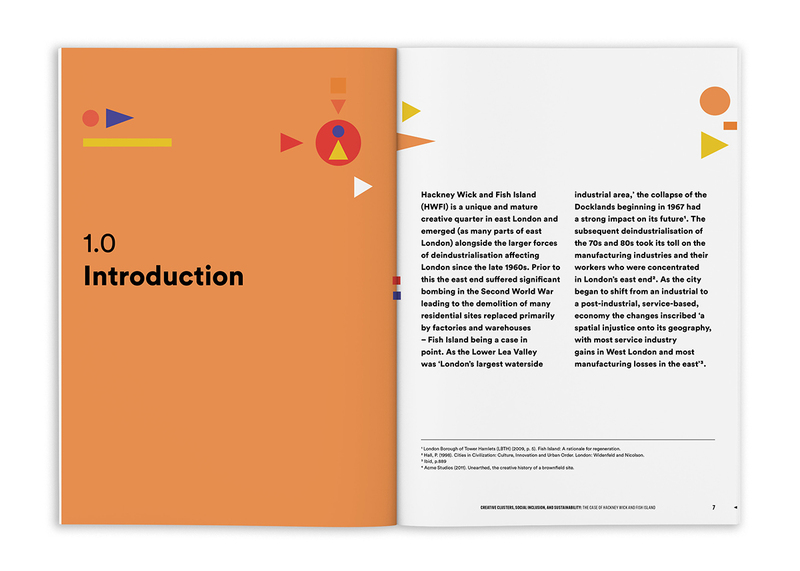 In the first instance we created a visual brand for a series of Creative Economy Networks conferences that was applied to the delegate programme and presentation slides. 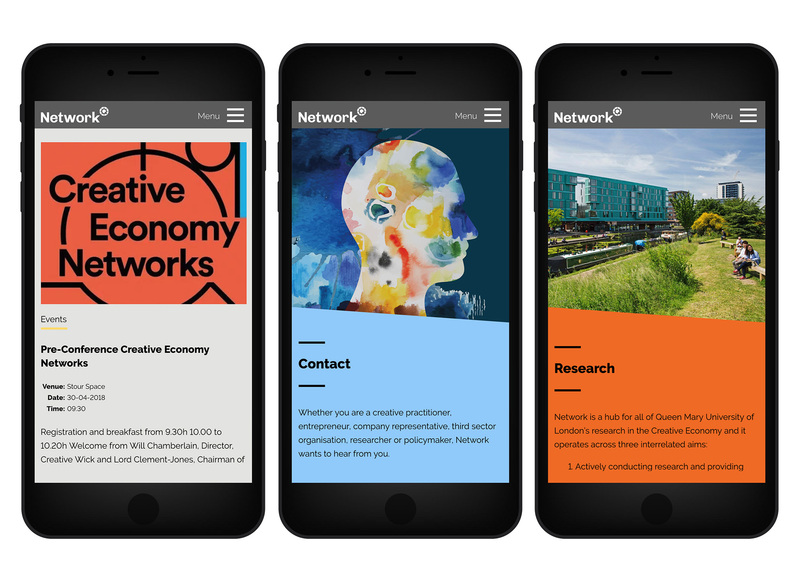 Creative Economy Networks – was a collaboration with People Palace Projects linking with many creative and research partners. Our design was strongly type led as well as being inspired by Amazonian patterns and geometric pathways. This is turn was designed to reflect the general theme and topics explored in the conference. Conference partners and delegates included Network Centre, People Palace Projects, Creative Wick, British Council and Digital Economy Network. 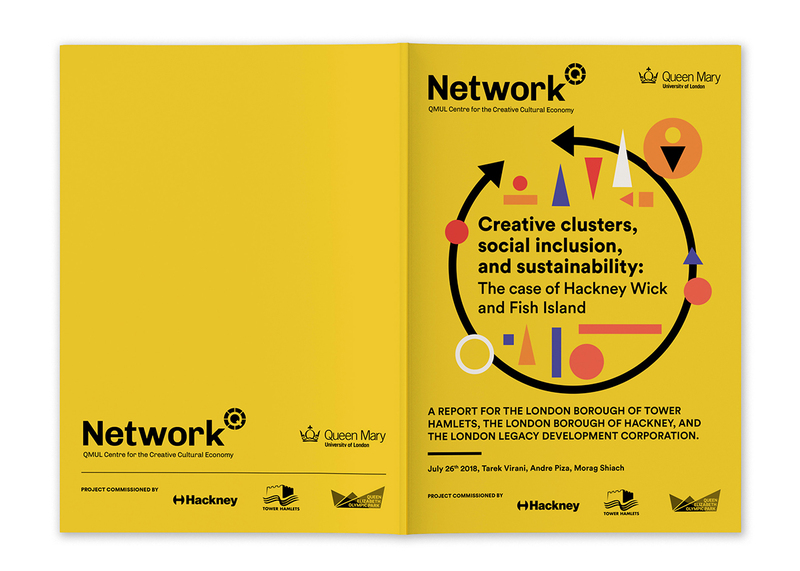 Building on the visual language that we produced for the conferences we were then asked to design a report brochure for a Network centre research project – ‘Creative Clusters, Social Inclusion, and Sustainability: The Case of Hackney Wick and Fish Island’, for which we created a series of colouful geometric motifs to illustrate the concepts in a graphic way. Most recently were asked to re-design the Network Centre website, in part to reflect our new visual language, but also to make the site more useable, clear and navigable. Network Centre required the site to be built with WordPress, with which we have expertise. The site was bespoke built to its own light weight theme with development by Simon Howe.